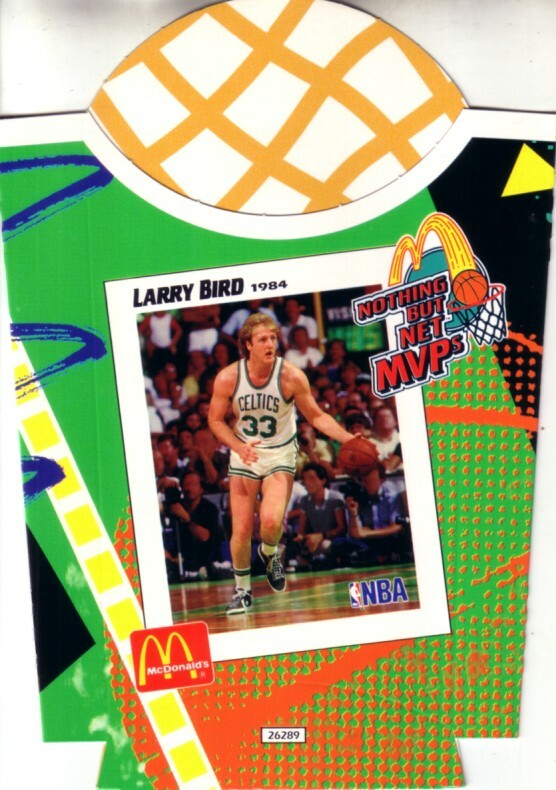 1994 McDonald's Nothing But Net MVPs commemorative french fry container of legendary Boston Celtics superstar Larry Bird. BRAND NEW, NEVER USED, UNFOLDED, MINT. ONLY ONE AVAILABLE FOR SALE.